Edge Case Games, a new British games studio formed from the team behind Strike Suit Zero, has revealed its debut game: Fractured Space. A bold new vision in tactical space combat, Fractured Space puts players at the helm of gigantic capital ships in online, team-based space battles on a cosmic scale. Edge Case Games has committed to an open development ethic in bringing Fractured Space to life for PC, working in step with its growing community by sharing early assets, prototypes and project plans while listening to players every step of the way. 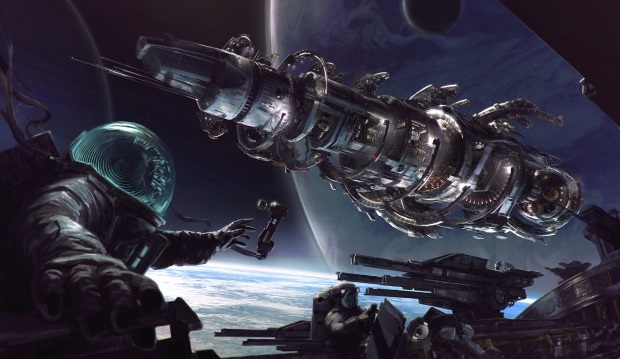 Founding community members are already contributing to the game’s development as they play and comment on early builds of Fractured Space in private playtests. Fractured Space will launch on Steam Early Access later this year, before transitioning to a free-to-play model upon wider release in 2015. Founders on Early Access can look forward to a range of perks, including exclusive ships, crew, boosters and ranks. More information will be revealed in the coming weeks.